All local residents and business owners know that there’s much more to the Washington D.C. area than the District itself. 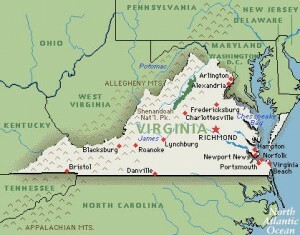 That’s why we also specialize in providing northern Virginia SEO services. As your new SEO services company in Virginia, we’ll help you pinpoint the new local prospects which will make all of the difference for your business and your website. Whether you’re based in Alexandria or Arlington, Fairfax or Vienna, Reston or McLean, Herndon or Dulles or Tyson’s Corner, we’ll provide you with the high quality search engine optimization in Virginia that you need to get ahead. And while we’re based in the D.C. region, we also work with clients across the state, whether they need SEO in Richmond, VA or in Norfolk or Virginia Beach. Targeting local prospects takes a bit of finesse, and a combination of various promotional strategies. The list includes proper keyword research and targeting, onsite and offsite search engine optimization, social media marketing and more. When you choose us as your new SEO services company in Virginia, we’ll help you surpass the competition and be on the cutting edge of online marketing. If your customers are on Google+ or on Facebook, using Google or Bing, Tweeting about you or reviewing you on Yelp, we’ll find them and we’ll provide you with a high quality and effective presence. Contact us today and we’ll provide you with a free consultation to discuss the best way for you to succeed with northern Virginia SEO.